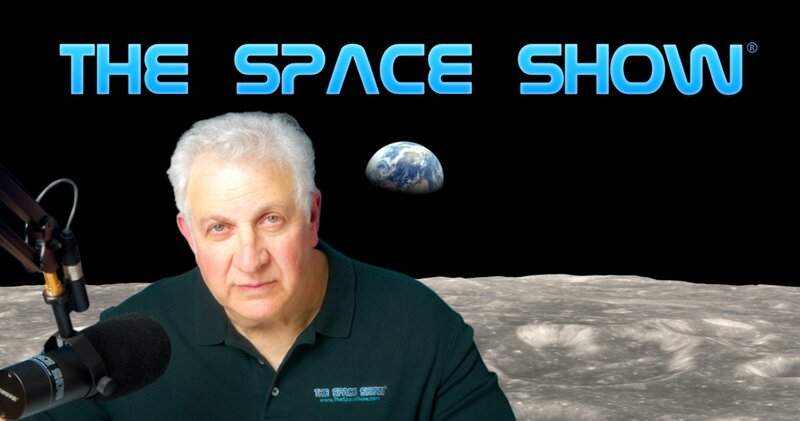 Guest: Open Lines with Dr. David Livingston; Topics: The primary topic for discussion was returning to the Moon, the LOP-G, SLS, SpaceX large rockets, lunar insitu resource utilization, lunar landers and related items. Please direct all comments and questions regarding specific Space Show programs & guest(s) to the Space Show blog which is part of archived program on our website, www.thespaceshow.com. Comments and questions should be relevant to the specific Space Show program. Written Transcripts of Space Show programs are a violation of our copyright and are not permitted without prior written consent, even if for your own use. We do not permit the commercial use of Space Show programs or any part thereof, nor do we permit editing, YouTube clips, or clips placed on other private channels & websites. Space Show programs can be quoted, but the quote must be cited or referenced using the proper citation format. Contact The Space Show for further information. In addition, please remember that your Amazon purchases can help support The Space Show/OGLF. See www.onegiantleapfoundation.org/amazon.htm. Welcome to this Open Lines program. Our discussion was nearly two hours long in two segments. I started the program with suggested topics and announcements. I had much to say about the passing of talk show host Art Bell who meant much to me and was a role model for me in creating The Space Show. Today's program was dedicated to the memory of Art Bell. After the announcements, I opened the line for callers. Our first caller was Mark from Petaluma. Mark was focused on the Gateway project because he sees and values the need for infrastructure development. He seemed to place a higher value for human space development overall on getting needed infrastructure in place over returning humans to the Moon. Mark had much to say on this topic which as you will hear, became the major topic for this Space Show program. Mark was challenged by several callers and even me as I prefer returning to the surface of the Moon with astronauts, something the LOP-G does not plan on doing soon or maybe at all. Let us know what you think about Mark's ideas, LOP-G, humans returning to the Moon and the related issues. Post your comments on our blog. By the way, I also mentioned the NASA funding and budget issues that may make all of these plans impossible to carry out. Dr. Doug sent in several emails and called later on but his initial email was regarding landers for Mark to answer. You will hear me read his lander email question on air plus Mark's reply. Marshall emailed us rather than giving us a call today. Marshall wanted to know how Mark defined infrastructure and what he wanted to see for infrastructure. Don't miss Mark's reply. Terry was our next caller. He agreed with Dr. Spudis in that we have lost the Moon. This refers to comments I made at the front of the show when I suggested the recent blog article by Dr. Spudis as a discussion topic. His blog comment titled "Have We Lost The Moon" was in my opinion exceptional. You can see the Op-Ed here: http://www.spudislunarresources.com/blog/have-we-lost-the-moon. Several callers later plus some later emailers did refer to Paul's comments so I urge you to read what he said. This Op-Ed was and is directly related to today's Space Show discussion. As I said, I thought Paul was spot-on in his analysis. What do you think? Before Terry left the line, he said that he thought SLS was simply looking for justification for its existence, hence LOP-G was created for that purpose. We started the second segment with a call from Dr. Doug in the LA region. Doug mentioned that infrastructure location mattered. He made this comment because in the last segment, Terry commented that LOP-G was in a lousy orbit. Kim asked what he meant by that so several listeners sent in an explanation which I read on air. Thus, Doug started his comments saying that infrastructure location did matter and that LOP-G was not in a good orbit vis a vis cost, logistics or ease regarding the surface of the Moon. It is in an orbit that may enhance a Mars mission. Doug commented that it was not in the right location for the Moon but then remember, Doug, as is the case with many others, wants astronauts to return to the surface of the Moon. Doug and others were not supportive of LOP-G though it appears that it is the Program of Record. As you will hear from others in this discussion, come claim it is a financial option since it would be cheaper than putting people and a hab on the lunar surface. Since NASA was and is not funded for returning to the surface of the Moon and maybe not even funded for LOP-G, for sure they were not funded for both so this is was an either or choice with the choice having been made in support of LOP-G.
Doug then mentioned a recent FISO talk where the speaker said we had spent 50,000 cumulative days in space. Doug did a back of the envelope calculation to validate the 50,000 day number and said he confirmed it to the degree possible with his quick and dirty analysis. He explained how he computed 50,000 cumulative days in space. What do you think. I then mentioned to Doug the Phoenix lander project from Madhu's space design class last semester at USC. For people interested in this design project, check it out here: https://drive.google.com/file/d/17dF9gy-lCfU7cq2r77y3FYsBSyMO858a/vie. I have asked Madhu and the student behind the project to present it on a future Space Show program. Check the newsletters as to when this program might be scheduled. Dr. Doug was still not finished so next he wanted to call our attention to a new page on his related website, www.spacedevelopment.org. He has posted a direct link to this new website page on the blog so check it out. SLS John from Ft. Worth was the next caller. As expected, he called to defend SLS and LOP-G saying they needed to have something and some place to go regarding the hardware they were building. That comment created a mild storm as it was controversial with lots of people. Don't miss the discussion that followed. John also talked about the new series on Netflix, Lost in Space, which is a remake from the old TV show. I've not seen it yet but may do so in the near future though I was never a big fan of the TV show. Doug called in on another line and wanted to engage John in a discussion about lunar landers, ULA, COTS, returning to the Moon, LOP-G, cargo and then people, SLS for Mars but not for the Moon and more. John held his ground in the discussion and said he wanted to see humans go beyond LEO and he thought SLS and probably LOP-G were the best chance we had of seeing that happen given all the facts on the ground and in the ether. The John and Doug mini-discussion was very interesting as it showed both sides of the all too familiar argument. Before the program ended, Freemont John called in to report that he read the Spudis article we commented on earlier in the show and thought it was a great post and agreed with it. He also had much to say about future NASA lunar orbiter plans. John then commented on the New Gingrich space vision which I mentioned in the announcement part of the program. While I told listeners where to find it, I guess some missed it as I see blog posts asking for the link. You can read his vision statement here: www.foxnews.com/opinion/2018/04/22/newt-gingrich-glimpse-america-s-future-in-space-in-2024.html. Those of you that commented on Newt's statement thought it was a bit over the top with some hype and rhetoric. That said, let us know what you think by posting your comments about it on our blog. Please post questions and comments about this show on TSS blog page for this program. If you want to reach an of the callers or those sending in an email, contact me for the referral.